Cha Cha Moon is one of our favorite little places for fast and delicious food. 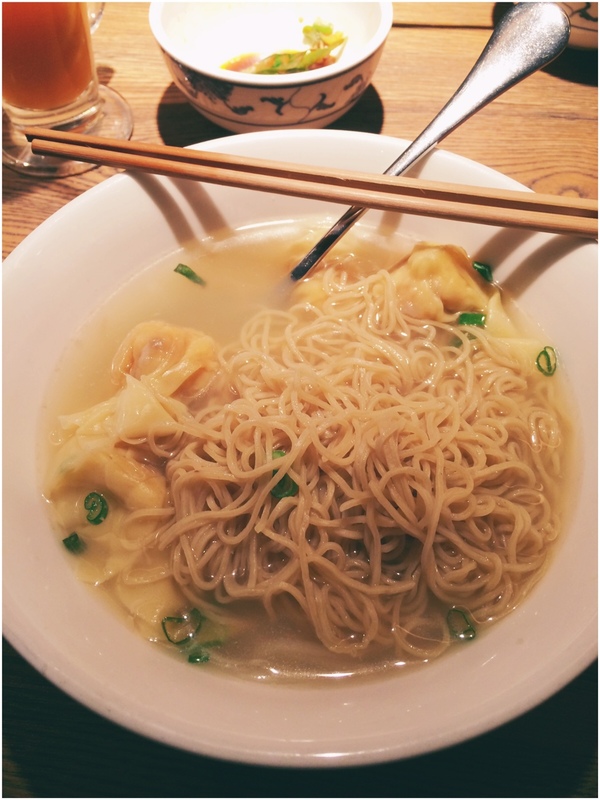 There is nothing better for dinner on a cool Spring day after a 3 hour walk in the park than a bowl of Wonton Soup. The name of our restaurant was also befitting, as last night the moon was so full and close to us, I think we could have walked down the street, hopped along the stars and kept on going till we reached the moon. This entry was posted in Photography and tagged food, happiness, london, photography, spring on April 16, 2014 by jennifermichie.